Sister had called me recently and asked if I can advice on new PC for my nephew. At which point I basically wrestled old computer and upgrade money from them before they repeated what they did last time – buying crappy unbalanced off-the-shelf computer. So I ended up with very dusty box, money limit (under $600 for hardware) and crappy choice of parts – good stuff is customary gone in January (bought for gifts and not restocked because of customs on vacation). Somewhat challenging combination to try bring old PC up to date on limited choice of parts and so it will last for several years. First I took old computer completely apart. It started its life as serial-made AMD-based PC from 2002. During lifetime it went through at least one upgrade (newish additional hard and dvd drives) and PSU was almost new. I decided to keep case (bit sad but its looks and features are rarely a concern to user) and PSU. 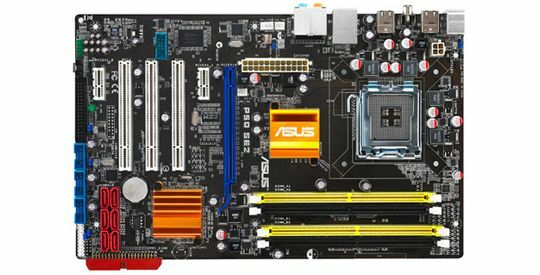 Latter being solid Chieftec model, but 400W unit without some newer connectors – sets a limit to choice of motherboards/processors (newer might need 8-pin power) and video cards (might need 6-pin or 8-pin, supplied by 2×6-pin) power. I decided to skip on Core iX platform. Budget tier Core i3 got released at last, but overall there is still drag of novelty premium in prices on this platform. Asus has been my brand of choice for motherboards in last few years so I went for that. One downside is that there are a lot of similar models with very minor differences in spec. You either kill too much time choosing or just take what comes up first. In the end I chose P5Q SE2 motherboard. It is full-size ATX motherboard, passive radiators, single slot for video card. Lacks some extras like FireWire and eSATA ports. Solid model for home PC. This part sucked, I had to wait for over a week because there had been no CPUs under $200 at all. After some stalking places I commonly buy from I scored Core 2 Duo E7600. Can’t say specs inspire awe. Still at 3.06GHz clock it is quite snappy and even if not maxed 3MB cache and 1066 bus will handle most of tasks just fine. Much like processors there weren’t much to choose from. 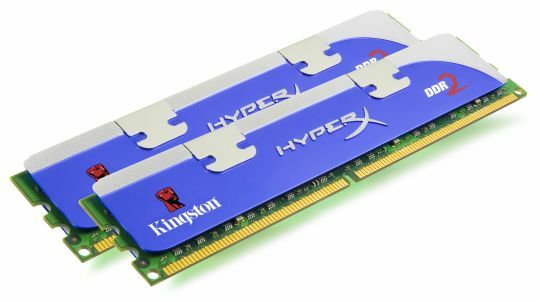 I barely found nice kit of Kingston memory KHX8500D2K2/4G. Two 2048MB PC-8500 modules with radiators (regular-sized, not those freakish fins Kingston puts on DDR3 :). Needed something not too crazy, sufficient for games and with low power requirements. 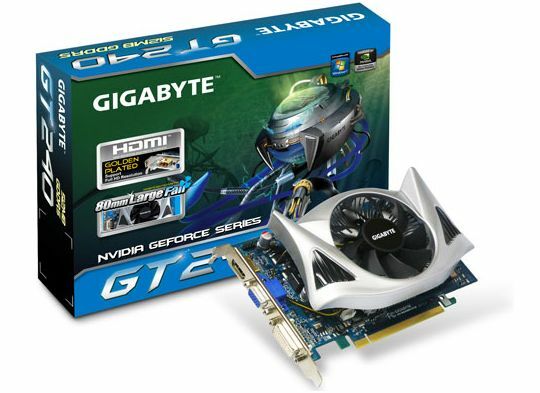 ATI cards seem to be all the rage lately, but I found good fit with Gigabyte Nvidia GT240 GV-N240D5-512I. It is compact card at exactly mainstream price point, that requires no external power at all. After reading reviews around I went for version with 512MB DDR5 over larger but slower 1024MB DDR3. 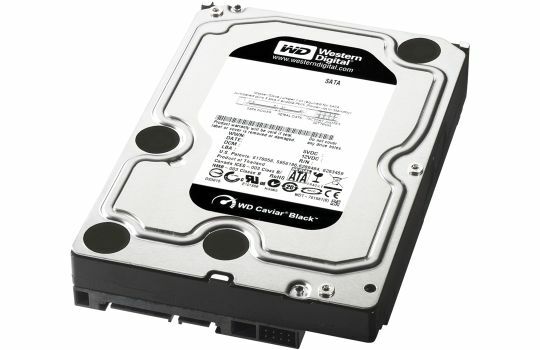 Another no-brainer since I am buying Western Digital drives since forever. Or so I thought going for 750GB Caviar Black model WD7501AALS. It is really noisy and after googling around people strongly recommend two-platter 640GB version over this three-platter one. It works. Most modern optical drives can’t even boast that much. Between hard drive, video card and box CPU cooler PC sounds like it’s trying to take off to space on power on. In Windows drivers kick in and noise lowers to bearable level. Well, no premium quiet components among these. Your sister and your nephew will be happier if you don’t express your opinion too honestly. The less you know about hardware, the happier you are with upgrades. Arguable. :) Upgrade fact itself is nice, but process of putting it together and recognition of specific improvements are also enjoyable. I know what you’re thinking, “must be a bunch of crap,” right? Actually I don’t. I strongly believe that we approach point where there would be impossible to have really crappy system. Currently even lowest tier hardware manages to provide reasonable performance in office tasks and basic (at least) multimedia functions. And convergence of functions into less physical chips makes harder to put together unbalanced and unfair configurations. Ehm, so what is your attitude now?